I ordered the Recsea before I knew of Nauticam's offerings. My housing was on pre-order fom Bluewater as soon as I found out about it, and I might have pulled the trigger a bit too quickly...haha. 04. You said the Mode Dial slips a bit on the RecSea, u means the rotating switch at the front lens correct ? Actually, I was talking about the top mode dial, on the top of the camera, to the right of the zoom rocker. Recsea's has to be pulled upwards during camera insertion, then popped back down into place to engage the o-ring, which presses down on the top face of the dial, hence the slippage, which I expected. In a casing this small, I guess there couldn't have been many other ways to do it and it works decently if you remember to push down some while turning the knob and didn't stand out as a real operational bugbear. The large front dial around the lens barrel doesn't slip at all (more on this later). The Nauticam's front lens dial is small, while not easy to touch it does offer > gearing ratio advantage. The RX100 when using manual focus, you need to spin > the lens rotator plenty to get the focus going, which is good as it can do precise > focusing. Agree with you here, and in this respect, the Recsea's gigantic front dial is a real boon. Certainly no issues using this with even the thickest gloves! As I'd observed in my own unit, this dial could do with a bit more finesse though. The control ring on mine has a tiny amount of freeplay, which makes it feel "rattly", if that makes sense. When you shake the housing, the ring is loose enough to rattle slightly. During operation, the freeplay translates ito about a wee amount of slack, giving it a slightly sloppy feel. Ultimately, because of long focus travel, precision isn't affected in practical terms. But the sloppy feel is out of character with the act of fine tuning focus. Perhaps tighter machining is all that's needed to work a better tactile experience? A great deal of the parts on the Recsea appear to have been machined (tool marks visible, even on plastic parts), not molded, so its possible this part could see quick mid-life improvement. Would love to see if an improved replacement lens dial ring is released later. I can say with certainty that the Nauticam RX100 front lens rotator will not slip like your RecSea. I am choosing the Nauticam RX100 Video version because I have the 4" SmallHD monitor already and I can use it on D800 too. How interesting! I didn't know there was a separate video version of the Nauticam! Truth be told, I shoot waaaay more video than stills underwater. But I dislike large complicated pro setups for a very long list of reasons (which I won't get into here for now). The rig I intend to dive with now is minimalist. No trays, no arms, no strobes. Its just my Recsea RX100 (for macro video and stills) with a GoProHD+LCD (wide angle video) backpac on the hotshoe. My left hand holds a tiny LED video light that's used for both video and to "light paint" the occasional still. Thanks for the RecSea review Neo. When I get my Nauticam, I will write up some report for you yah. And I really enjoyed your informative discourse on housing considerations too, SP! Truly, at the end of the day, I'm sure I'd be just as comfy and happy with a Nauticam housing too. 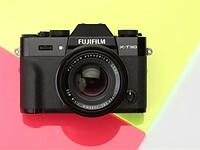 The RX100 is the real star here, and with either housing, it does appear that some ergonomic tradeoffs are inevitable. At this early stage, I see no real deal breakers in my book for either housing. I've already figured out a couple of minor workarounds for the most irritating thing on my Recsea, which is that over-sensitive D-Pad dial thingy. So, while I look forward to your review of the Nauticam housing (especially the said video version), my most immediate priority is to get out there and dive with my new setup! Got a dive planned for next week.. woo hoo! BTW, are you in/from Indonesia?